Wondering How You Can Help The Needy This Winter? Here Is What You Can Do! With the recently announced weather forecast, it looks like Egypt will plunge into a week of storms and rain. The Egyptian Meteorological Authority has announced that temperatures all over the country will be dropping and warned of sandstorms in some areas. With all of these hardships, we should be mindful of the less-fortunate people in the country. Stranded on the streets, homeless and alone, many of them suffer silently. It should be our collective responsibility to help them with the necessary means of survival through this winter. Doing simple things, like donating old blankets or clothes, could be life-changing deeds for the underprivileged. To give back is to share the struggle of others and to grow on a personal level, which is a beautiful feeling of rejuvenation. Want to know how can you help the poor in Egypt? Well, there are several trustworthy charities and NGOs that will help deliver either money or winter supplies, such as clothes and blankets, to the less fortunate all over the country. Since its foundation in 2007, Misr El Kheir has been contributing to the development and sustainability of impoverished communities in Egypt. The NGO has issued a campaign to provide the less fortunate Egyptians with the essential means of survival. For as low as EGP 150, you could donate a blanket to warm a family through this harsh winter. 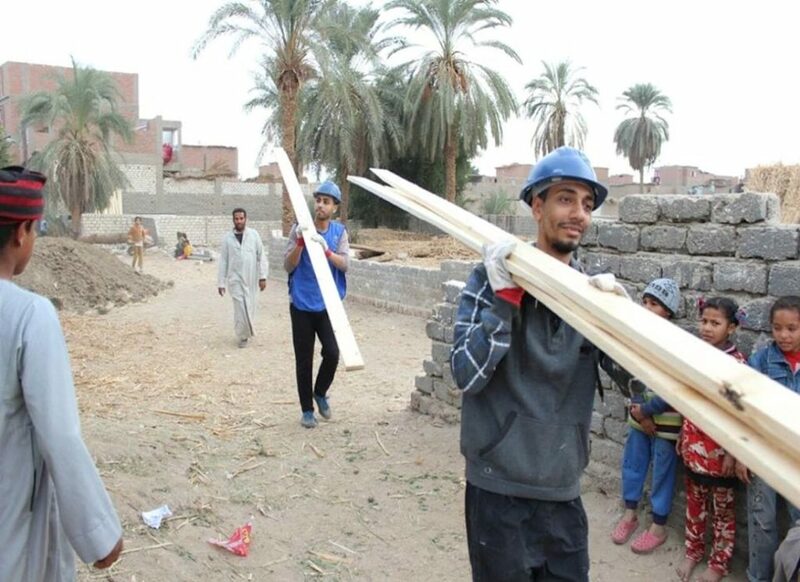 Also, you could contribute to roofing houses in different neighborhoods, not just in Cairo, but throughout Egypt. It is not only the cold that the underprivileged have to combat against in winter, but also hunger. The Egyptian Food Bank is one of the prominent charities that aim to end hunger in Egypt. They have issued their monthly campaign with the aim of providing winter provisions to families all over Egypt to keep them fed throughout the cold months. One of the oldest charitable organizations in Egypt, Resala has been working in Cairo and other governorates to keep the people of Egypt warm and fed. The NGO has participated in the “Warm Egypt” campaign which managed to provide impoverished communities all across the country with 300,000 blankets and one million pieces of winter clothing. The best thing about Resala is that you can always call them if you have extra clothes or blankets you want to donate, and a volunteer will come to your doorstep to deliver it to the ones in need. The charitable association has been operating in Egypt for more than 25 years, focusing on the sustainable development of the country’s poverty-stricken regions. The NGO aims to empower the residents with the much-needed opportunities to get back on their feet. The Orman Charity Association is working on delivering 300,000 blankets this year, to the neediest areas in Egypt. Well, that sounded weird, but think about it, you do not need an NGO to give back to your local community. If you have some additional resources, you can always donate them to homeless, needy people on the streets, while on your way back home from work. 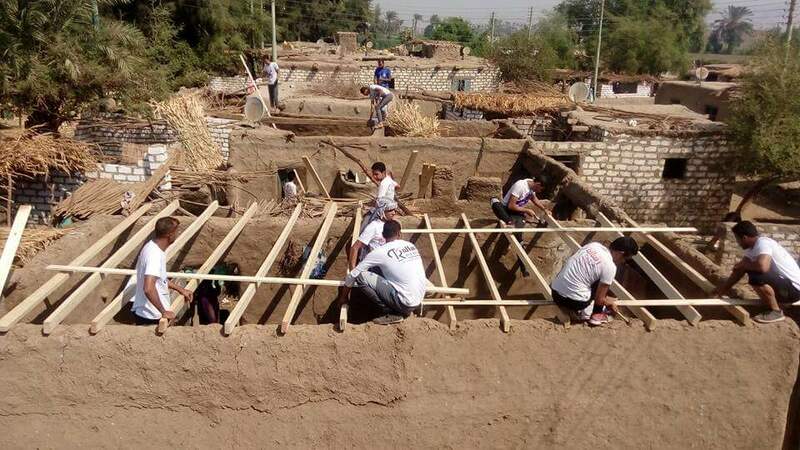 You can volunteer along with a group of friends to help build roofs in a remote Egyptian villages with any of the aforementioned charities. With the help of your neighbors, you can also organize a blanket station in your area, where impoverished individuals can pick up one with ease. The idea is very similar to the fridges that popped up all over Egypt during Ramadan to preserve food for the poor.